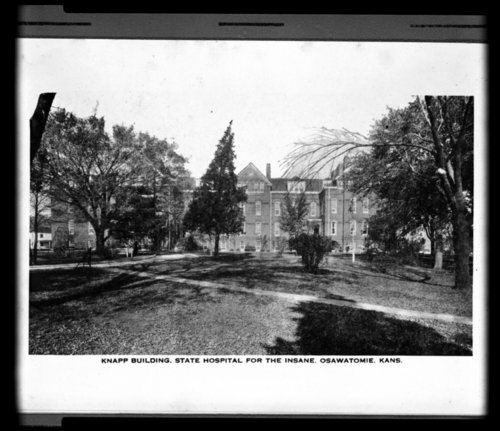 A photograph of the Knapp building at the Osawatomie State Hospital in Osawatomie, Kansas. The hospital was established by the State of Kansas in 1866 and had beds for 12 patients when it opened. By the end of the next year it housed 22 with applications for 50 more.